Do you want to create a happier and more fulfilling life? Hello and a warm welcome to Mind Fountain NLP where we provide high quality NLP training and personal development coaching and that will help you create positive change in your life. Do you often experience stress or negative thinking? Do you sometimes lack confidence in certain areas? Is there anything in your life that could be improved? Did you know you that with NLP – you can change your beliefs, attitudes and behaviour to positively succeed in ALL areas of your life? NLP equips you with tools and techniques on how to use your mind in the most positive way in order to get the best possible results. You can get rid of unhelpful beliefs and behaviours and install new, more positive and very powerful ones instead. That’s incredible! “The greatest discovery of all time is that a person can change their future by merely changing their attitude…” Oprah Winfrey. To develop yourself the best investment you can make is in you. Invest time to transform yourself, and discover NLP techniques so that you can be who you want to be, do what you want to do, have what you want to have. Our 7 Day Accelerated NLP Practitioner Training will equip you with the tools that you need to develop yourself both in a personal and professional context. Whether you are in business, teaching, recruitment, sports, marketing, counselling, customer service, therapy, coaching, training, HR, sales, education, management, parenting, unemployed – whatever your profession or situation – this NLP Practitioner course will dramatically sharpen your skills and propel you towards success and happiness in all areas of life and give you the tools to do it. To find out more about our 7 Day NLP Courses, ring us on 0845 388 8213 or 07887 887702. Many people yearn to have more success, love, happiness, self confidence and fulfilment in their lives. Whether it’s for a personal issue, better relationships, career progression, financial success, optimum health and fitness or life in general, the best investment you can make is in YOU. NLP training allows you to work on yourself during the 7 days while learning NLP along the way and transforming yourself in the process – you will have fun too! And it’s easy to learn NLP. The only requirements for coming on an NLP Practitioner course are simply having an open mind and an eager curiosity to learn new things and a desire to change! And it’s easy to learn NLP. We make it fun also! Businesses can learn how to adapt to the constantly changing economic climate, motivate their employees, focus on goals and selling their products and services successfully. Understanding what your client wants and how you can satisfy their needs is crucial for any business, never more so than now. 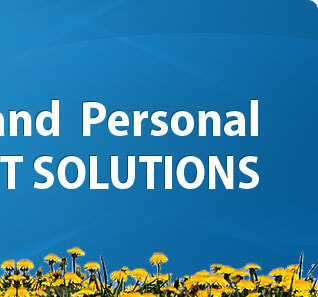 We also offer personal one-to-one coaching or therapy sessions that are specifically tailored for the individual client that helps them overcome a particular problem or issue. Ring 0845 388 8213 in complete confidence to discuss booking a consultation for a one-to-one session. Ring 0845 388 8213 or 07887 887702 in complete confidence to discuss booking a consultation for a one-to-one session or for more information for our courses. Remember to check out our blog and sign up using the opt-in box on the right hand side to get all our latest news. If you have any queries, please contact us – we’re here to help! The great thing about our NLP Practitioner courses is that they are a 7 day intensive hands-on course with pre-course study which means it’s easier for people to take those 7 days off to come on the course. Have you ever been in a situation where you sometimes believed in yourself and other times you didn’t? Do you ever feel like you are not moving forwards in your life and feel ‘stuck in a rut’? Get your FREE NLP e-course today! 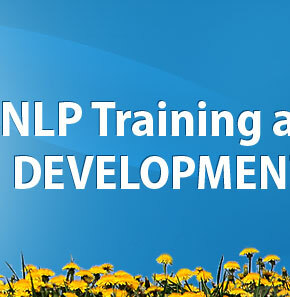 Enter your Email Address to receive your FREE NLP mini course. Keep in touch by clicking on the social links below. Confidence building for professional women in business! Why is running an ethical business so important?